Any member of the College community can submit an online incident report if they have witnessed a student who has been acting in a way that is inconsistent with College expectations. An online incident report alerts the appropriate College officials so an appropriate intervention can be made to resolve the behavior. 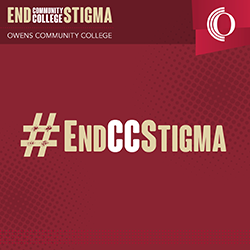 The report can be accessed here and also under the A-Z Index at the top of any Owens Community College webpage. When submitting an incident report, it should include as much detail as you have at the time to ensure a prompt and accurate investigation into the report.